For three decades, Mike has played a critical role in the development of the tourism, lodging and the real estate industry in the Lutsen and overall Cook County areas. Mike moved to the area in 1988 after serving Cook County in several consultant roles while working for The Northspan Group. In 1992, Mike built the Mountain Inn at Lutsen – a contemporary 30 Room Inn located at Lutsen Mountains. Thereafter, Mike started the Lutsen Lodging Company…a full service property and vacation rental Management Company…and the Lutsen Real Estate Group… a full service Real Estate Agency. Mike played a critical role to help develop Superior National at Lutsen Golf course by authoring the original feasibility study in 1987. 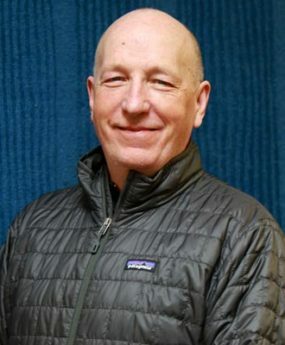 He currently serves on the golf course board of governors while also serving as President of the Lutsen-Tofte Tourism Association. In addition, Mike was co-founder of the Lutsen 99er bike race in 2011 which had 80 racers in its first year. In 2018, the race has grown to 2,000 riders with participants from over 30 states and has fast become one of the Midwest’s largest and most prestigious bike events. In 2008, Cascade Property Sales and Lutsen Real Estate Group (LREG) merged and landed under the Lutsen Real Estate Group Umbrella. Similarly, Cascade Vacation Rentals (CVR) and Lutsen Lodging Company merged in 2014 and landed under the Cascade Vacation Rentals umbrella. Today, Mike, along with his Broker partner Steve Surbaugh manage over 200 vacation rentals throughout Cook and Lake Counties with such activities complimented by the real estate group working with clients looking to buy, sell, and/or become part of a vacation rental program. Because of his involvement in the area for over 30 years, Mike has a keen sense of the Real Estate Market. Mike and his wife Jana moved to Lutsen in 1988. Jana is a teacher any they have three “millennial children – all who have left the roost.